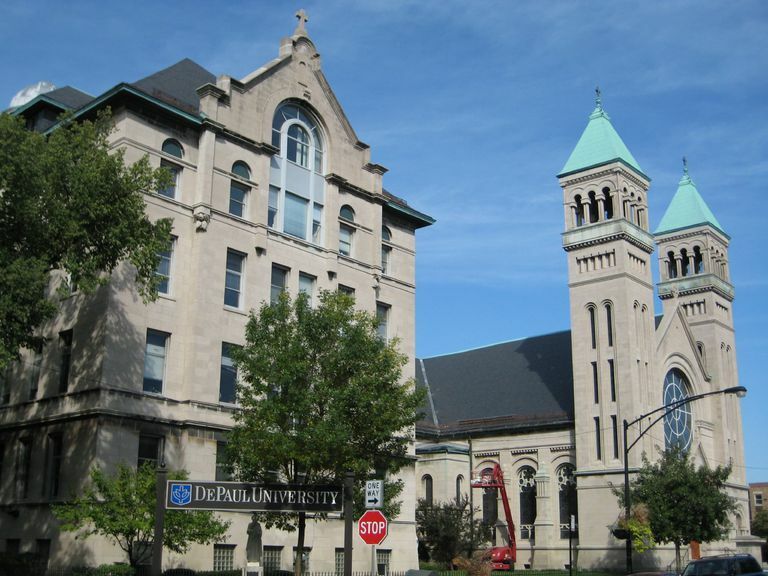 With an acceptance rate of 70%, admission to DePaul University is largely accessible for hard working high school students with solid academic records. DePaul is test-optional, so students are not required to submit scores from the SAT or ACT. Additional application materials include a high school transcript and a completed application form. Students can apply using the Common Application.​ Interested students should check out the DePaul admissions webpage and are encouraged to visit the campus. DePaul University's 24,000 students make it the largest Catholic university in the country, and one of the largest private universities. DePaul was founded by the Vincentians in 1898, and the school remains committed to providing educational opportunities for students from a wide range of social and economic backgrounds. One in three undergraduates are first-generation college students, and students come from 100 different countries and all 50 states. DePaul takes advantage of its location in Chicago to provide students with hands-on, practical learning experiences. The university has one of the highest rated service-learning programs in the country. It has received awards for excellence in diversity and as one of the best places for women and diverse managers to work. In athletics, the DePaul Blue Demons compete in the NCAA Division I Big East Conference. Popular sports include soccer, basketball, track and field, and tennis.